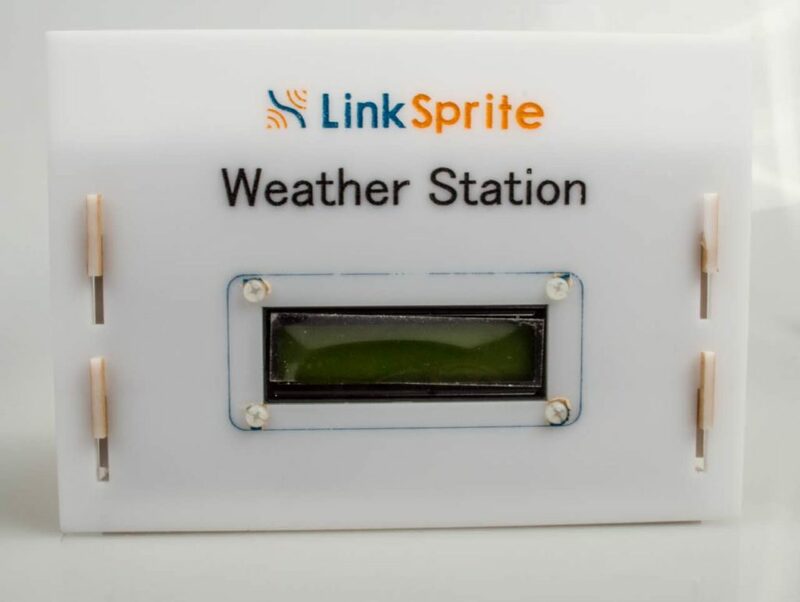 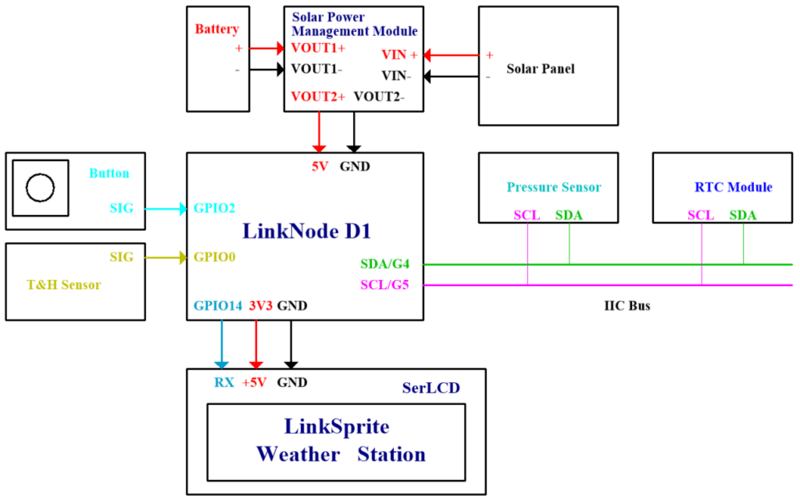 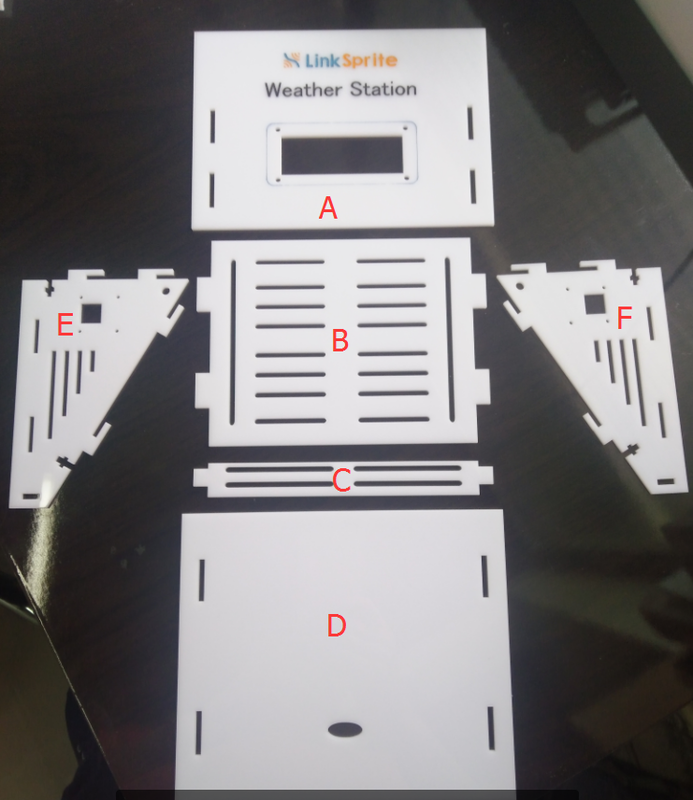 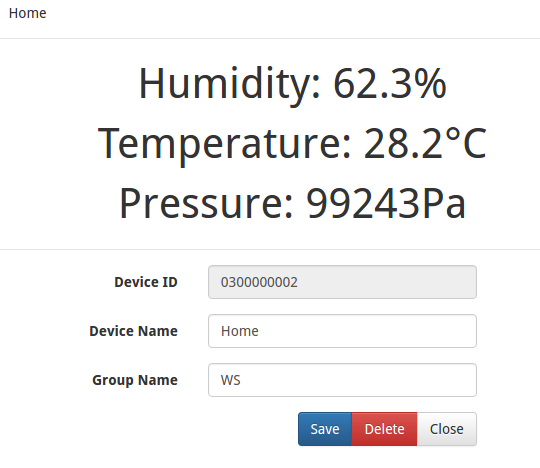 LinkSprite weather station is one kind of LinkSprite IoT kit which is powered by ESP8266 WiFi SoC. 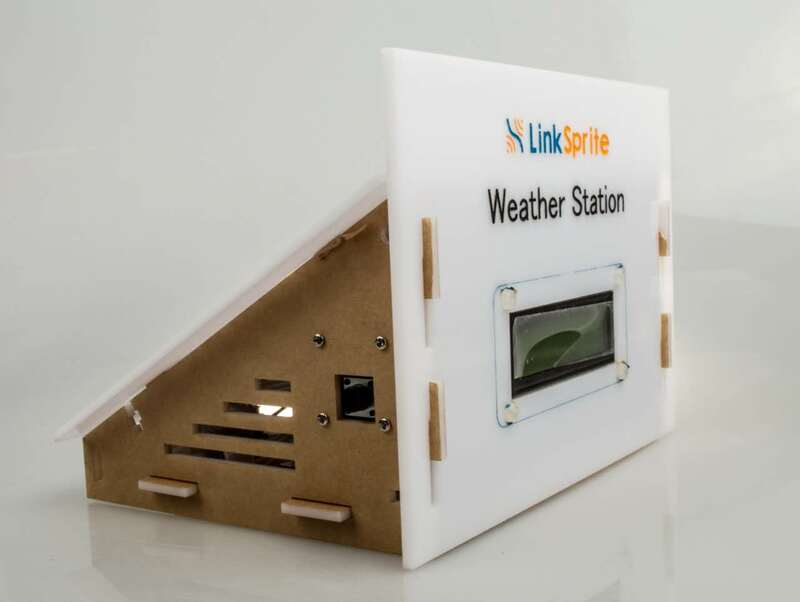 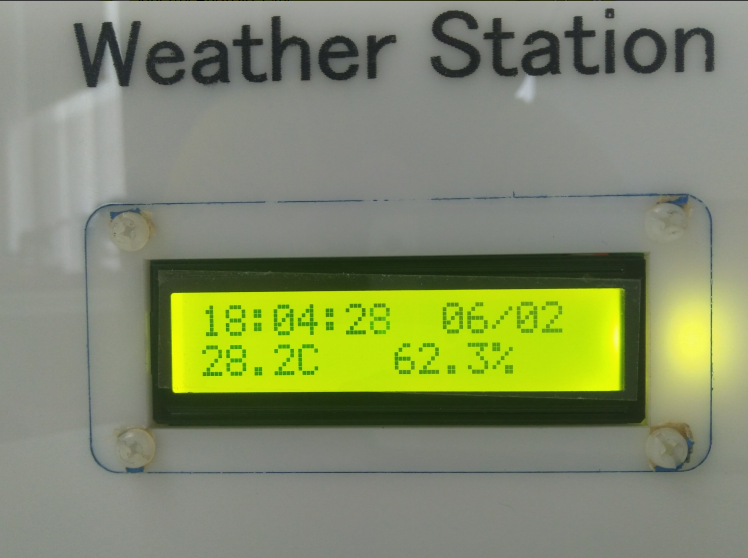 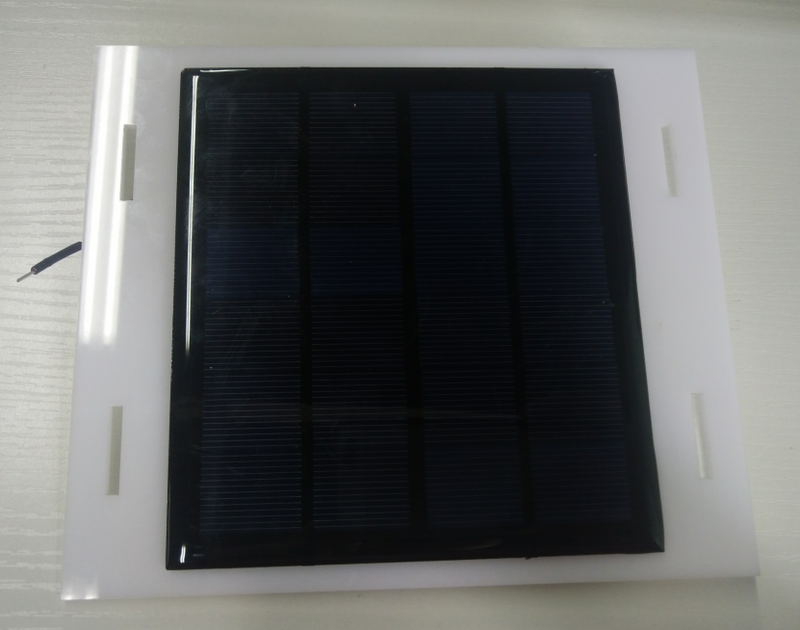 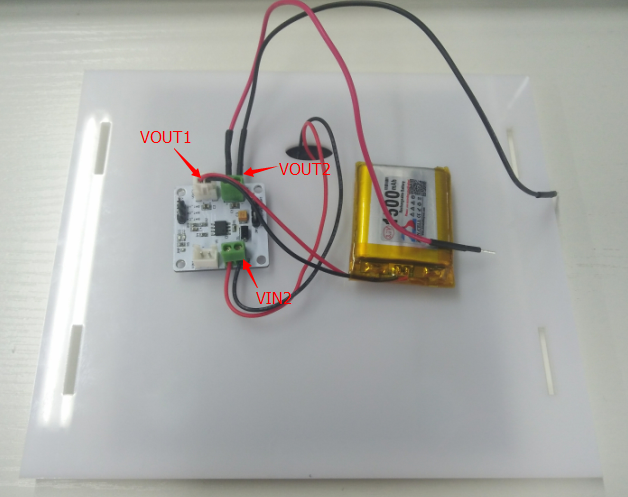 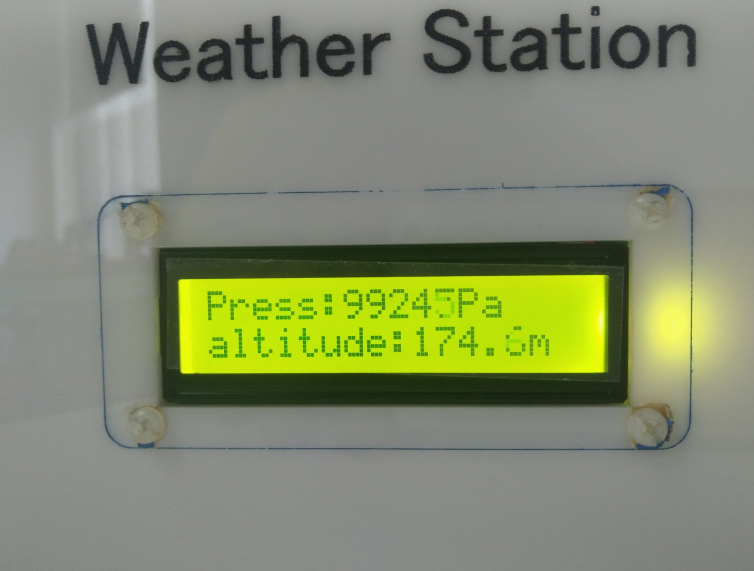 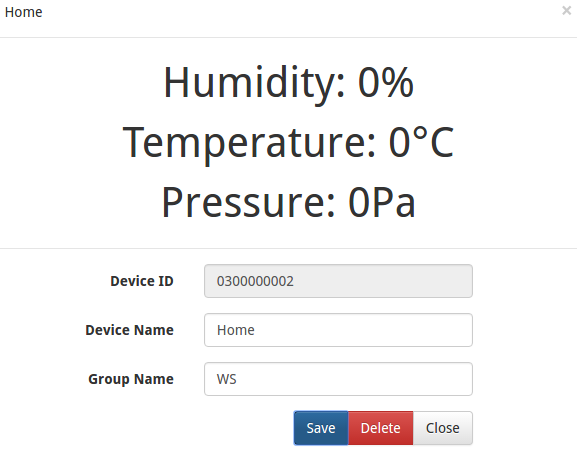 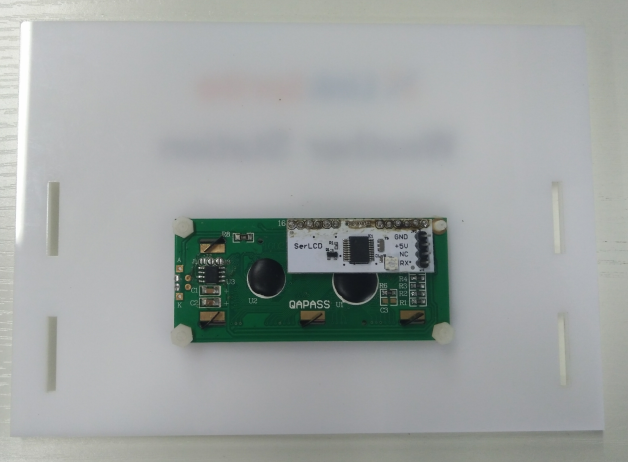 This kit can automatically collect environmental data including temperature, humidity and pressure, and display them on the local LCD. 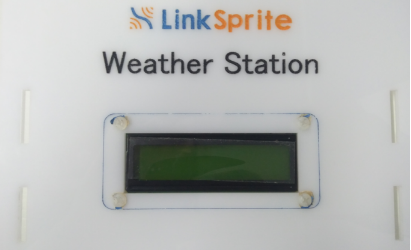 At the same time, it would upload these data periodically to LinkSprite IoT cloud server. 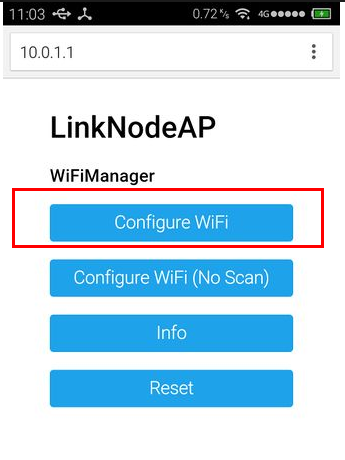 User can check them on the website or using APP. 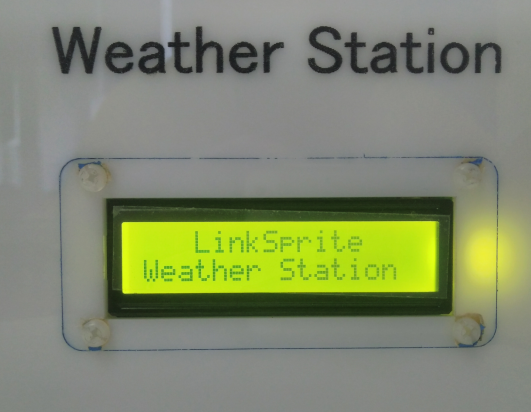 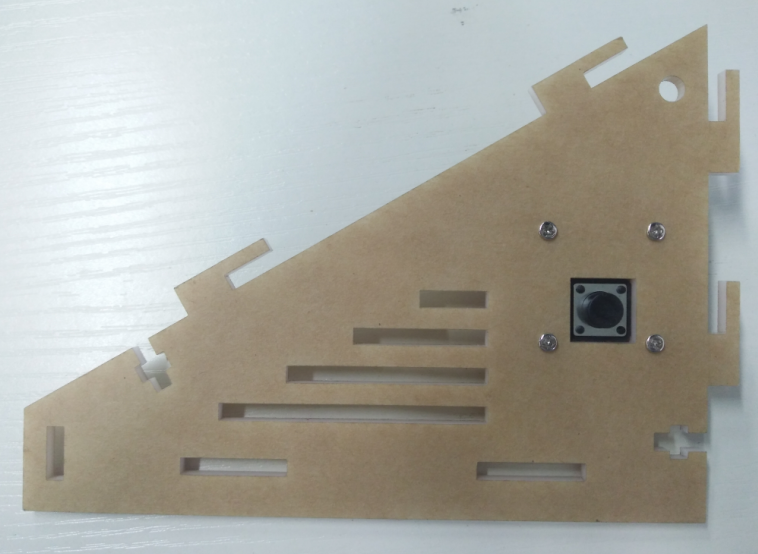 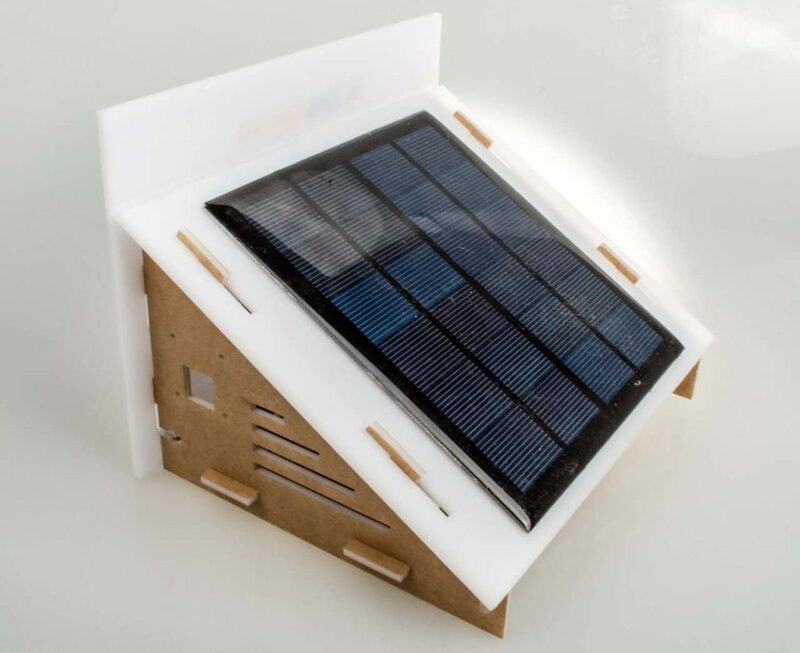 This also is an open source product and you can download the hardware and software from the website. 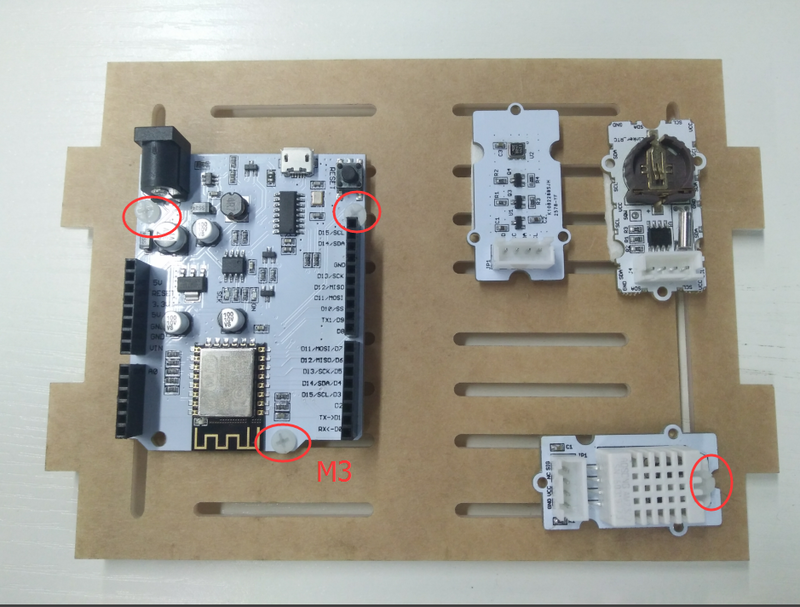 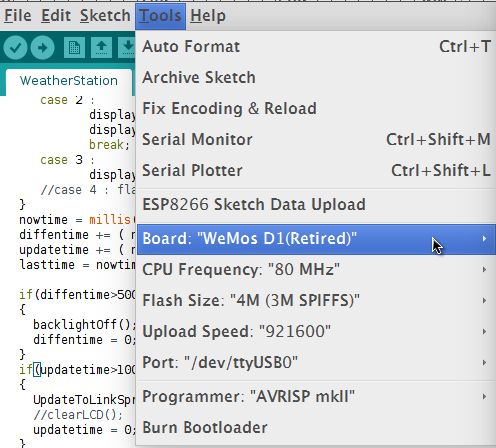 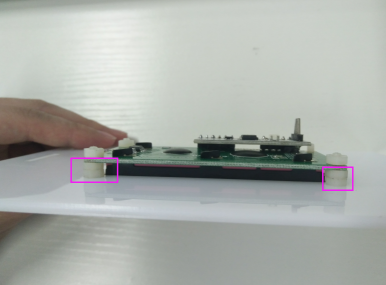 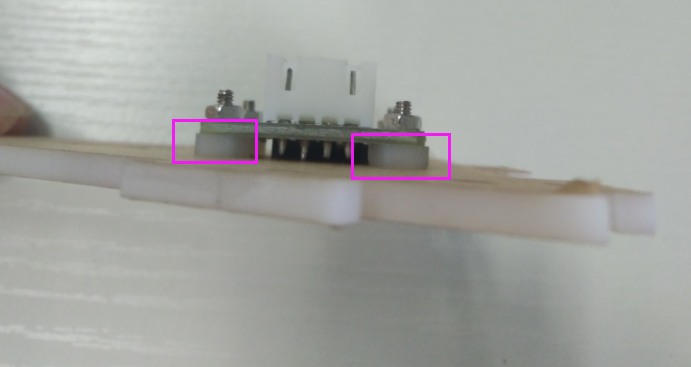 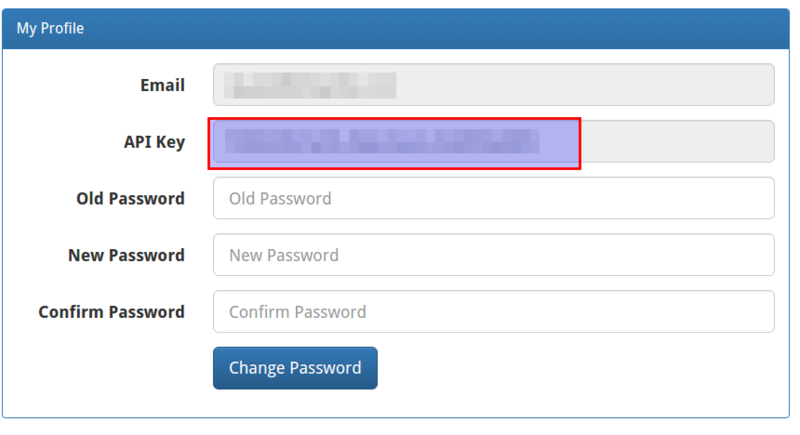 Configure the board type and select the serial port which is recognized by your PC when using usb cable to connect to PC and LinkNode D1. 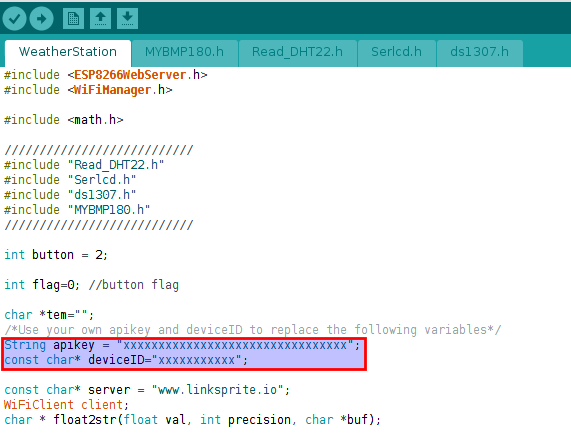 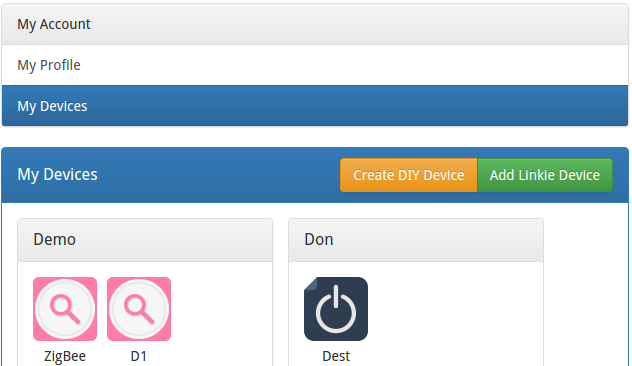 Go to the device webpage on LinkSprite.io and check the data which are sent from LinkNode D1.